Support Guyatone Guitars!! – Drowning in Guitars! Just wanted to let everyone know that if you enter coupon code DROWNINGINGUITARS at checkout, you can get 20% off your pedal/effects order!!! How cool is that?!?! Check out the new selection at GuyatoneUS.com Hey everyone, I wanted to do a different sort of article this time to support a good friend of mine, Nate DeMont! Back when I first started researching vintage Japanese guitars, Nate and I seemed to hit it off real well and he’s just one of the nicest guys in the business! 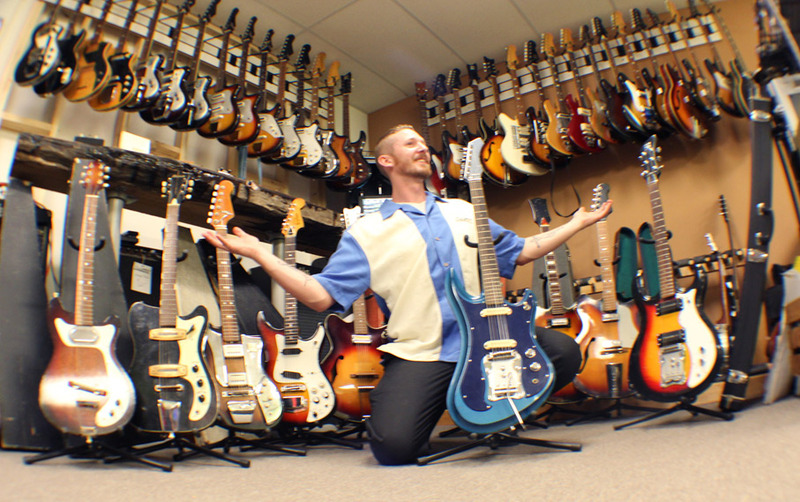 He owns DeMont Guitars in Illinois, and he’s one of the most passionate dudes when it comes to guitars and vintage gear! After we started talking, I quickly learned that Nate had a love for old Guyatone guitars. Like, I love all kinds of old Japanese stuff, but Nate just had this real interest in Guyatone. Nate is just a Guyatone freak!!! Nate wrote a really good history of Guyatone and he knows a lot about the company. He’s probably the biggest Guyatone fan in the world! Anyway, ol’ Nate connected with the Guyatone company and he now finds himself as the exclusive seller of Guyatone gear in the USA! Can you believe it?!?! I mean, he’s now supporting his favorite guitar maker in the world! 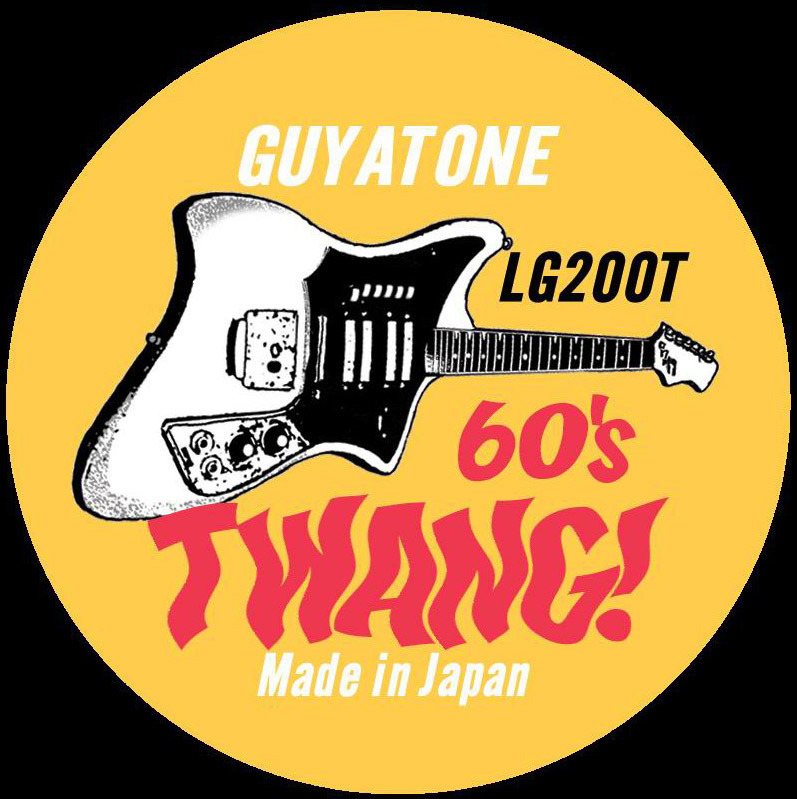 Now if you don’t know, Guyatone was probably the very first manufacturer of electric guitars in Japan. The founder, Mr. Matsuki, was a real engineering whiz, and one of his sons currently runs the company. Guyatone has survived all sorts of ups and downs in the business world, and they still produce some really awesome gear like pedals and amps. They also have plans to make some limited run guitars in the future! Please check out the current pedal lineup here and please support Nate and Guyatone! Peeps, this is like a dream come true for Nate, and if anybody is worthy of support it’s this guy. Plus, the current Guyatone gear is really well built and sounds AWESOME!! Nate is fully stocked with pedals right now and he’s done a few demos that you can see here! Nate and Guyatone are also developing a new line of pickups, and these are nice custom pups. 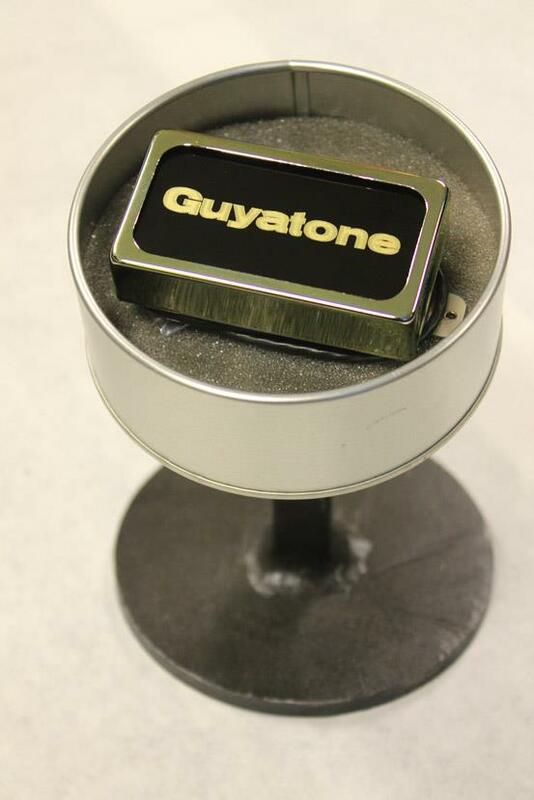 DeMont Guitars is in charge of designing, manufacturing and marketing these new Guyatone pickups that will be super hot sounding, featuring alnico magnets and custom engraved covers made right here in good ol’ USA! Now I don’t usually like to hype a particular business, but in this case, I just have to support Nate. See, I have loyalty imprinted on my DNA. And when a good friend needs a little support, I’m happy to lend a hand. Peeps, check out the sites linked above, and if nothing else shoot Nate an email to lend him your support. WIth so many snakes in the business, it’s always pleasing to see a nice guy making his bones! We need more folks like Nate preserving the history of Music and instruments. Great story and brilliant information. Thanks!